New Zealand’s history of attempting to control smaller Pacific Islands began early. Not long after the signing of the treaty of Waitangi in 1840, some of those who stole Aotearoa from the Māori sought to steal other islands in the region. In 1845, New Zealand’s third Governor, George Grey began what became eight years of persistently calling for Britain to annex Pacific Islands to New Zealand. Despite having worked to persuade the principal chiefs of Fiji, Tonga, Tahiti, New Caledonia, and the Loyalty Islands to consent to annexation, the Colonial Office in London, was not interested. He tried again in the late 1870s while he was Premier. He and other New Zealand leaders such as Julius Vogel and Robert Stout saw New Zealand’s destiny as being head of a Pacific Empire. He especially wanted to annex the New Hebrides (now Vanuatu) in order to exclude potential enemies like the French. 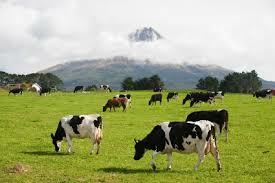 In 1883 he introduced a Confederation and Annexation Bill in order to promote New Zealand annexations. 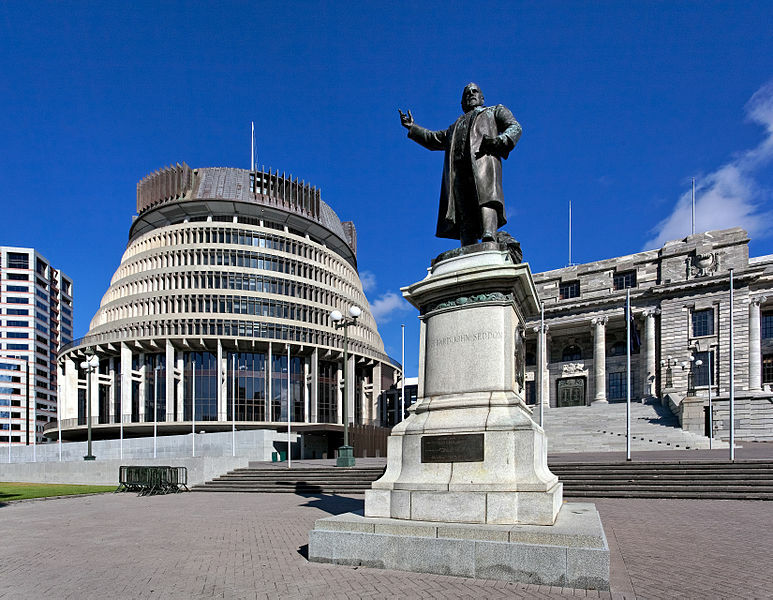 In his speech on the Bill he declared: “I think that New Zealand has been ordained by Nature virtually to be the future Queen of the Pacific.” This bill was passed, but it was a hollow victory as it didn’t result in any annexations. The Colonial Office, again, was uninterested. (Nicholas Hoare has written a very interesting thesis about this time). “New Zealand’s Pacific Destiny” got off to a slow start. Seddon went on to say: “We are commencing a new century, and with its dawn let us commence a new life – one of expansion and on the forward path of our ultimate destiny…Our dear old flag will for ever float over the islands insuring justice and freedom to all”. In May of 1900 Seddon set off on a voyage to Tonga, Fiji, Niue, and the Cook Islands in an attempt to coerce their leaders into accepting annexation. It didn’t work in Tonga or Fiji, but Niue and the Cook Islands were within the Colonial Boundaries of New Zealand a year later. Seddon had earlier failed to convince the Colonial Office to annex Sāmoa. Like George Grey, Seddon was jealous and fearful of the moves being made in the Pacific by powers such as France, Germany and America. He was critical of Britain’s lack of support for expansion in the Pacific, especially when Britain agreed to the annexation of Hawaii by the US. To Seddon’s indignation, Sāmoa was instead divided between Germany and America with support from Britain. Germany would not hold its half for long though. In August 1914, New Zealand made its first act of the First World War. The invasion of German Sāmoa. New Zealand successfully established colonial rule, moving the fates of 35,000 Sāmoans from the hands of one despotic empire to another. New Zealand showed itself to be a racist, careless and brutal ruler. One Sāmoan Administrator, Stephen Allen claimed that Sāmoans were “destitute of reasoning power” and could learn only with “the quickness of that great imitator the ape… and not that of the human species”. In 1918, the negligence of the NEW ZEALAND authorities allowed the influenza epidemic to kill 22% of the Western Sāmoan population. Compare this to American Sāmoa which was successfully quarantined and had zero deaths. When resistance to New Zealand rule grew, one day in 1929, a peaceful demonstration was crushed when the police opened fire with rifles and a machine-gun, killing nine people and wounding fifty. That day became known as Black Saturday. There is much more to be said about the resistance movement in Sāmoa, known as Mau, one of the great anti-colonial and liberation movements of the twentieth century; the movement deserves an article of its own. Meanwhile, in Niue, the level of brutal rule was reaching epic proportions. While this was one of New Zealand’s first successful forays into Pacific empire building, it was not appreciated. The Colonial Office called it – and the Cook Islands – “a remote and worthless group”. A telling statistic of the treatment of the people of Niue is the record-setting levels of per capita criminal charges. Highly restrictive laws saw 1256 people convicted of crimes just in the year of 1950. The population of punishable age at the time was approximately 2,000 people. The long list of crimes included breaking 7pm curfews, playing poker, and holding hands. The Resident Commissioner of Niue, Cecil Hector Larsen, after arresting people under these inane laws, used prisoners for labour in his own house and garden or to run after his golf balls on the prison farm. But Larsen wasn’t content with just having his own slaves, he wanted to humiliate them. While Niueans were prohibited from making, possessing or drinking alcohol, Larsen would taunt prisoners while getting drunk in front of them. He and his wife Jessie would physically and verbally abuse them. The irony was not lost – I am sure – on the prisoners who had been jailed for swearing. Perhaps then, it should not come as a surprise to hear that New Zealand’s first – and what remains to be its only – political assassination, was the killing of Cecil Hector Larsen, by 3 Niuen’s who had recently escaped from the jail. The small island of Banaba in Kiribati was rich in phosphate due to thousands of years of bird droppings. This phosphate was extremely valuable to the farming industries in New Zealand and Australia. So from the early 20th century both the land on Banaba and its people were systematically destroyed for the profits of capitalist farmers. For more on Banaba refer to Juliet Thomborson’s article. Various degrees of independence have been gained by most of the Pacific Islands that New Zealand took over. 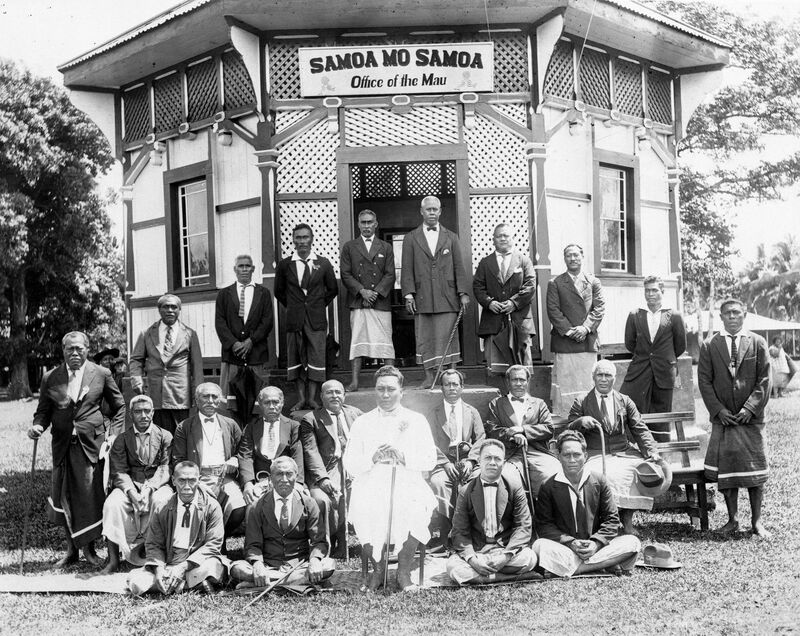 The legacy and inspiration of the heroic Mau movement in Western Sāmoa eventually led to independence in 1962. The Cook Islands has been self-governing since 1965. This happened in Niue a decade later. Tokelau, the final Pacific addition to the Realm of New Zealand, is still officially a territory. The New Zealand state wanted to protect its economic interests after its former territories gained self-governance and independence. It profited by exploiting the labour and resources of the Islands. Interests were further served by monopolising the financial, communications, and transport infrastructures of the Islands. New Zealand’s economic boom in the 60s and early 70s was advanced by using migrants from the Pacific Islands as cheap labour, only to then deport or exclude them as unemployment grew. The 1984 Labour Government jumped head first into a relatively new political philosophy – neo-liberalism. It did this ahead of many of the world’s major players. Here is an example of Neo-Liberalism in action. Between 1999 and 2001, members of the Pacific Islands Forum – which is made up of 16 nations including New Zealand and Australia – negotiated the Pacific Island Countries Trade Agreement or PICTA. This was an attempt at free-trade between the Pacific Islands, but excluding New Zealand and Australia, which apparently was deeply insulting. New Zealand and Australia’s response was to aggressively negotiate a new agreement that was quickly instated as an umbrella agreement above PICTA. This is called the Pacific Agreement on Closer Economic Relations or PACER. It is basically an agreement between nations of the Pacific Islands Forum that they will negotiate a free-trade deal in a certain time frame and under certain conditions. The trade-deal itself has become known as PACER-Plus. PACER-Plus is currently being negotiated and has a deadline of December this year. Some of the potential effects of this agreement include the closure of up to 80% of Pacific manufacturing leading to unemployment for thousands of workers. Giving powers to corporations that allow them to challenge government policy changes that don’t suit their interests in the region, taking them to court in order to gain compensation or policy change. Health and education resources will become more expensive as intellectual property rights give corporations more power over the use of medicines and education materials. It will undermine indigenous land rights, the list goes on and on. Edward Snowden, whistleblower on activities of the NSA and its Five Eyes partnership, revealed in March some of the ways in which the NEW ZEALAND Government Communications and Security Bureau has been spying on the South Pacific. The GCSB uses mass surveillance techniques to sweep up as much data as they can from as many sources as they can to add to the Five Eyes program’s global database. While this type of activity has been repeatedly denied by the government, it has also been repeatedly excused as necessary for security and cyber protection. However the revelations by Snowden point more to economic espionage. New Zealand undoubtedly spies on the Pacific to promote and protect trade interests – to gain advantage in deals such as PACER-Plus. Despite left nationalist rhetoric that New Zealand is bullied by the big guns like USA and Britain, New Zealand is in Five Eyes because it furthers its own interests. We should not be worried about foreign control of Aotearoa so much as about the New Zealand state and ruling class’ control of Pacific nations’ affairs. With that in mind, lets look at the so-called War on Terror. Helen Clark’s Labour Government joined the US in the middle-east even after opposing the 2003 invasion of Iraq. Clark proudly sent troops into Afghanistan and used various avenues to support the US led invasion of Iraq in order to meet the interests of New Zealand capitalists. Likewise, the John Key government, desperate to make powerful imperial moves within its realm of influence, has sent troops into Iraq. Key called it the “price of the club,” as if to suggest he wishes he didn’t have to do it. But New Zealand can only supply such an insignificant amount of support that this can hardly be about the US bullying the state into doing something. The ruling class wants to have a presence there. Key has tried to appear more open about military deployment in the Middle East than Clark was. The language is still guarded of course – troops are just there to train the Iraqi Army, we are told. This is despite that only 1 in 9 troops deployed are actually trainers and, of the rest of them, a third are not even stationed in the same location as the training. My guess is that John Key would love to tell us that they are there to slaughter ISIS fighters, but he has always been a careful and clever politician. The time is not right for that kind of talk, but perhaps it is coming. The John Key government wants us to be obsessed with nationalism. The efforts to change the flag are, to quote John Key himself about “building more overt signs of patriotism.” Patriotism and flag worship has been called for before. In 1917 district education boards ordered that children salute the flag as they arrived at school each day. Now John Key wishes to change the flag as a way to bolster Kiwi nationalism. Why? Because, whether it be 100 years ago or today, nationalism helps the ruling class by dividing the working class. As we can see, New Zealand imperialism has taken many forms and changed with the times. New Zealand began with ambitions to expand its territories into the South Pacific. It wanted to gain from the resources that greater territory would provide – more workers, land, materials. Though its success was limited, it still had devastating consequences – as Empire building has done for thousands of years. As resistance to New Zealand rule increased and degrees of independence were won, the state focused its efforts more on economic imperialism. It is honing this technique today with the help of state-of-the-art cyber-espionage and ruthless approaches to trade deals. It does this for its own imperial interests, not at the behest of larger powers. Seddon would be proud. Nicholas Hoare’s MA thesis on New Zealand’s Pacific Empire – and its domestic opponents – is excellent. You can read it here. I’ve drawn on Hoare’s work in my article. Michael Field’s classic Mau: Samoa’s Struggle Against New Zealand Oppression (1984) is excellent.